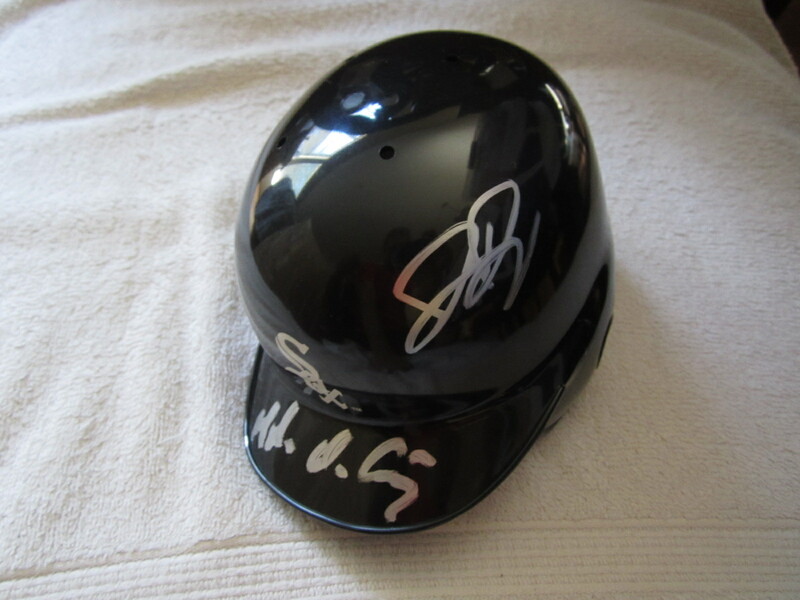 Chicago White Sox Riddell mini batting helmet autographed in silver paint by former superstars Jermaine Dye (2005 World Series MVP) and Rey Ordonez (four-time All-Star with the White Sox). Both autographs obtained in person, with certificate of authenticity from AutographsForSale.com. ONLY ONE AVAILABLE FOR SALE.